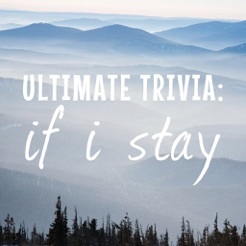 For true fans of if i stay - test your knowledge with questions about the world of Mia, her music, her family, and her friends. 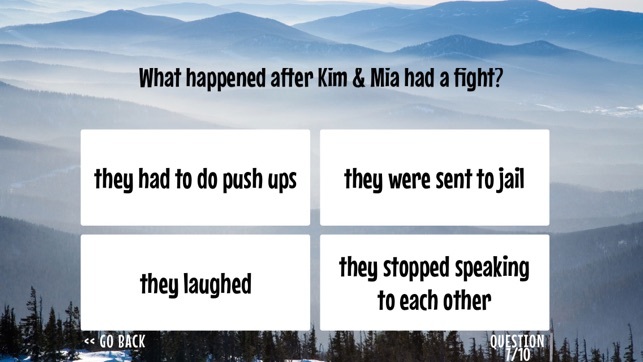 See if you can identify the different characters and plot points of the book, correctly answer questions about Mia, Adam, Kim, and Teddy, test your memory of the accident, Brooke Vega, Shooting Star, and much more! 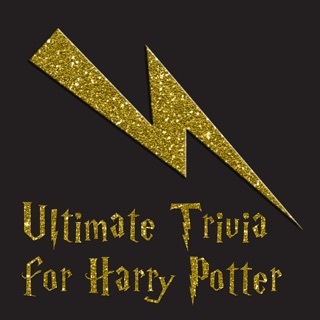 NOTE: This is an unofficial trivia app and not affiliated with Gayle Forman, Dutton Penguin, DiNovi Pictures, MGM, or New Line Cinema in any way. 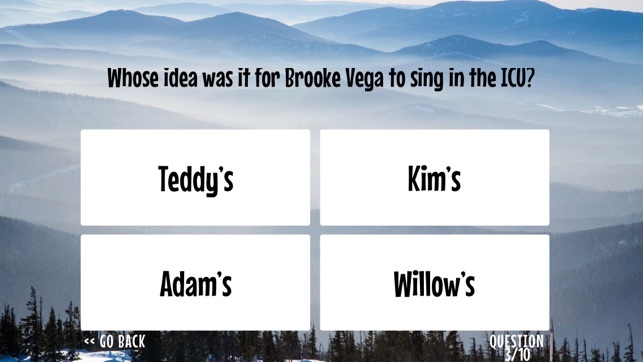 Ultimate Trivia: If I Stay™ is the single best game I have downloaded since buying my first iPad in '96. This game only came out not too long ago, so as you may have imagined that was over a decade of suffering. But, golly gee it was worth the wait. 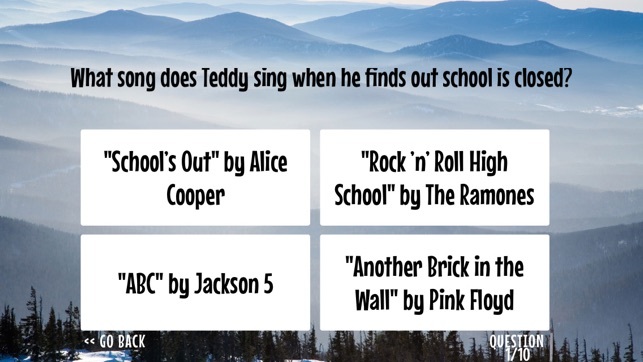 This is an interactive trivia game than cannot be matched. I am a big fan of the book, I've read it easily 20+ times. Sometimes simultaneously at the same time! I'll never forget, it was recommended to be by my good friend Young Sensei™ who is a Japanese professor at HoyEhh University (you may have seen the undefeated football team on TV). He said it was a must read. Then I heard there was a movie coming out, I was enthralled. I loved the cast and I religiously worship R.J. Cutler's work (yes, R.J. was his birth given name). 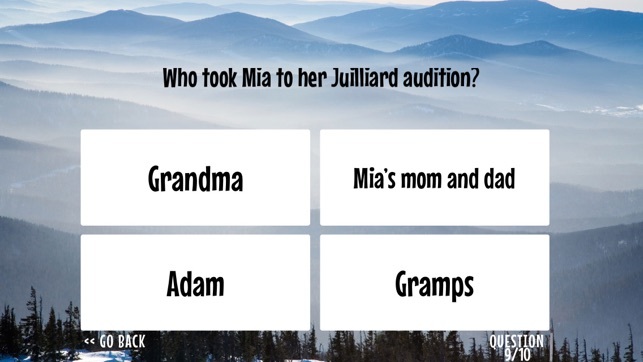 AND THEN I found out about this trivia game. I was now experiencing the full value of P. I was elated. To combine all my knowledge into one game was simply life changing. 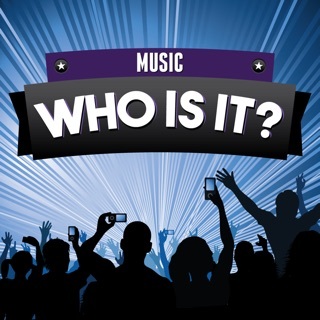 This is a must have app and it is free, so what does that tell you!? Get it, you won't forget it. My only complaint is that you need to have read the book to compete I. This game successfully. I always do, but others may not have my extensive knowledge of this franchise. But if you haven't read the book, that's the real problem. Gayle Forman is a phenomenal author. 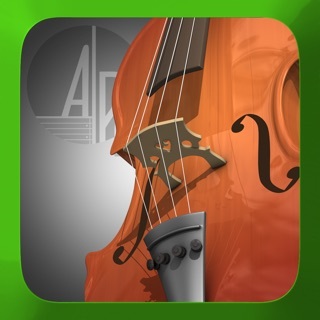 I hope my brief review was enough to convince you to get this app. I have an entire seventeen page blog on my InstaBook™ page if you want to know more. Simply search: NappyRootsTaketheAPExams. 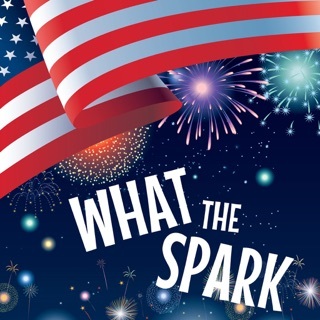 What The Spark - Celebrate the 4th of July! 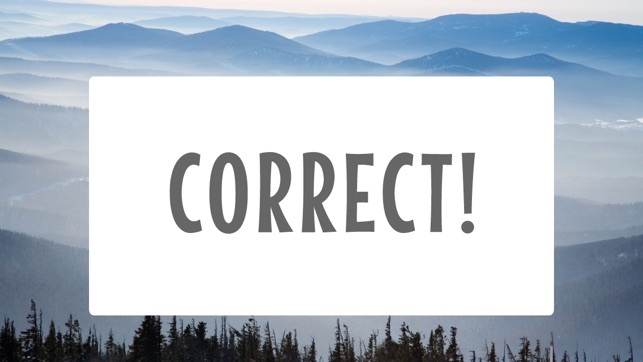 Ultimate Trivia for The Giver!